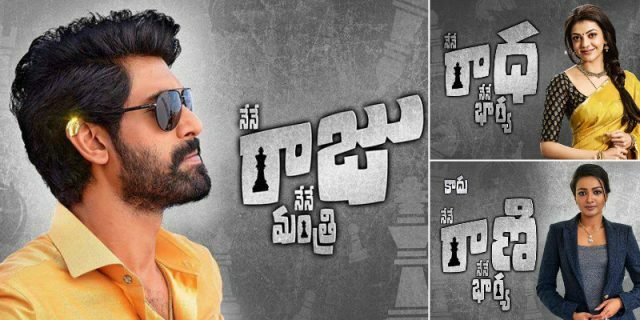 Nene Raju Nene Mantri features Rana Daggubati, Kajal Aggarwal and Catherine Tresa. Actress Catherine Tresa will soon be seen in the eagerly-awaited ‘Nene Raju Nene Mantri’. And, as expected, she is quite excited about being a part of the film. During a recent interaction with a leading news agency, the lovely lady said that NRNM is an out and out commercial entertainer. However, according to her, it is something that will surely end up breaking stereotypes. “I’m not going to say why my character is seen smoking in the teaser. But what I can tell you is that the film breaks many stereotypes. It’s a very mainstream film and you will see Rana, who is known to do certain kind of films, go down a path less taken,” she added. She went on to add that ‘Nene Raju Nene Mantri’ does not follow the regular format of commercial storytelling and, hence, offers something fresh. “The film breaks away from the regular commercial format. A lot of people by now must have assumed that I play a badass because my character is seen smoking. The film breaks such stereotypes,” said Catherine. In case you did not know, ‘Nene Raju Nene Mantri’ is touted to be a political-thriller and has been directed by Teja. Besides Catherine, it features Rana Daggubati and Kajal Aggarwal in the lead. The film has already created a buzz amongst fans courtesy its gripping trailer and Rana’s desi swag. If all as planned, NRNM will hit screens on August 11. So, are you looking forward to watching ‘Nene Raju Nene Mantri’? Tell us in the space below.